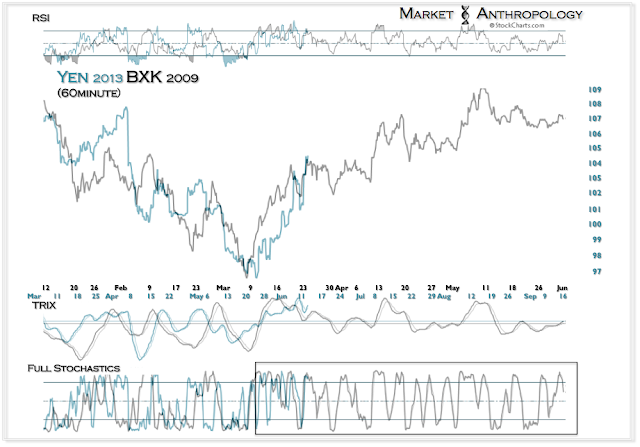 Derivative of our GDX:GLD comparative with the BKX:SPX ratio, circa 2009 - the yen has taken to the streets with considerable reversionary vengeance. 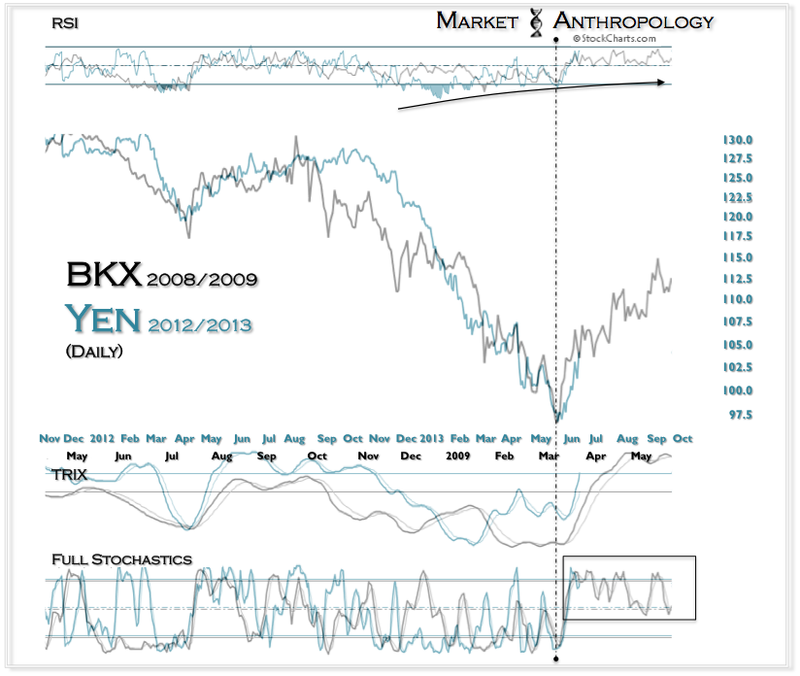 In the beginning of 2013 and very much along the lines of the downdrafts in Apple and the gold miners et al., the yen had cascaded with very little traction despite the sharp positive RSI divergence that we warned (with the BKX:SPX comparative) against being lured by. 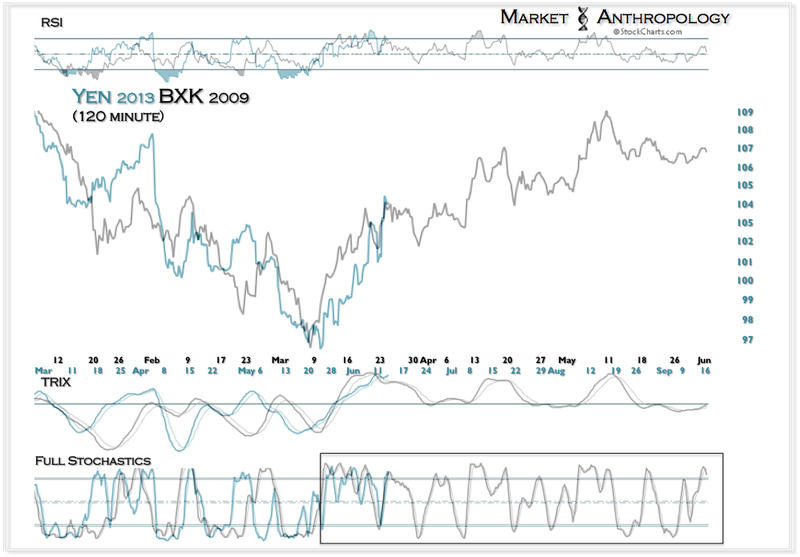 Despite taking its time in finding what we perceive to be the low in the yen this year, the comparatives next momentum trait appears to be taking shape as it springs out of the upside pivot. 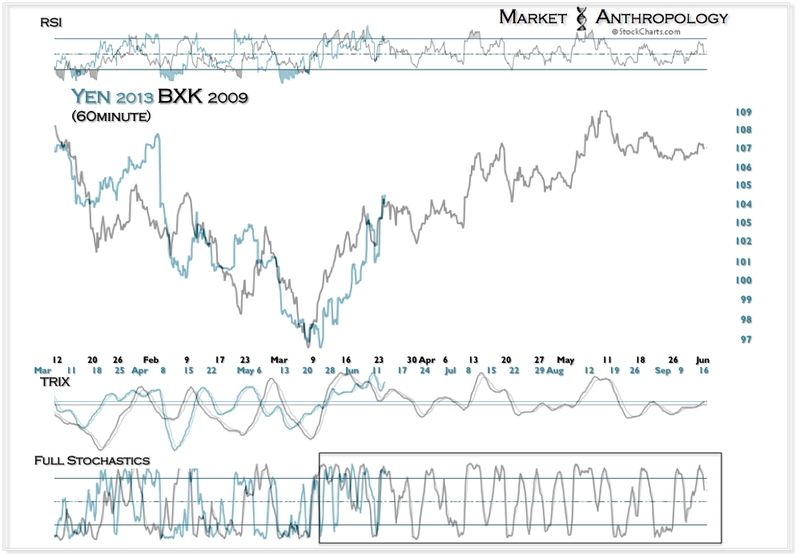 Although not yet present on the daily timeframe, momentum has reversed polarity to positive on the 60 and 120 minute series - as evident in the stochastic becoming entangled from the top rail. 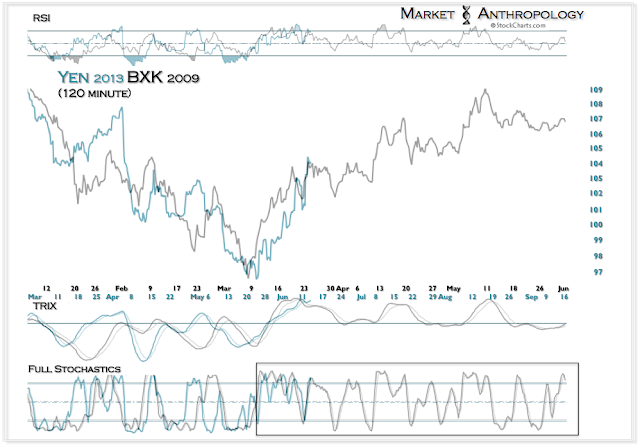 This is an early indication - and similar to the BKX comparative, that the condition will eventually replicate through to the daily and be supportive of a material change in trend higher.